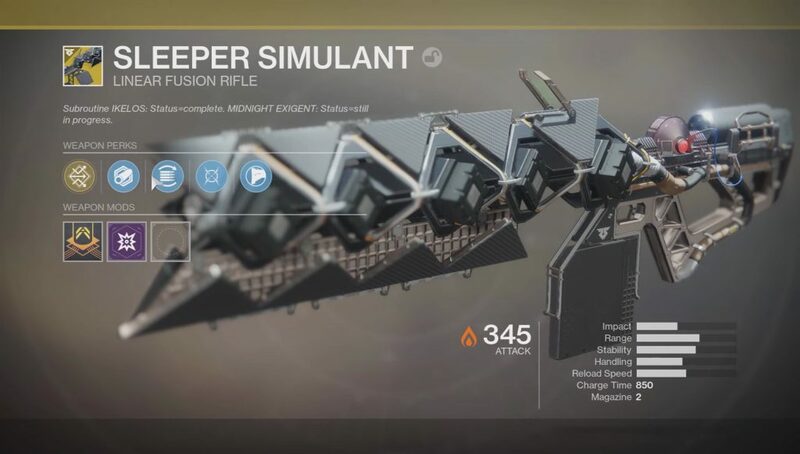 The Sleeper Simulant has somehow managed to establish itself as one of the most powerful weapons in all of Destiny 2, well after it originally launched in the Warmind expansion in May 2018. In this Destiny 2 Sleeper Simulant guide, we'll be walking you through how to get Sleeper Simulant in Destiny 2, through using the IKELOS weapons to complete the Violent Intel quest steps. If you instead need anything else on the new Warmind expansion for Destiny 2, including how to access all the brand new content including two new Strikes and one new Raid Lair in the Leviathan region, make sure to head over to our full Destiny 2 Warmind expansion. There are thankfully relatively few steps to take in order to fully unlock the Sleeper Simulant weapon for your Destiny 2 character, but you’re firstly going to have to undertake the Violent Intel quest line, which involves completing all the main missions in the Warmind DLC expansion. Once you’re done with all the mainline quest for Ana Bray in the expansion, follow the steps just below in order to obtain the Sleeper Simulant weapon. Complete the Legacy Code and A Piece of the Past missions. Receive the IKELOS hand cannon as a reward. 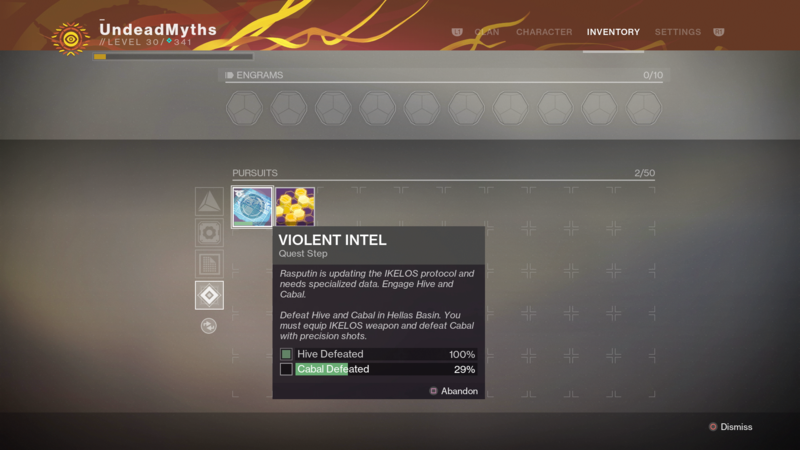 Visit Ana Bray once again to obtain the Violent Intel quest item. Defeat Hive and Cabal enemies with precision shots while using the IKELOS hand cannon. Defeat yellow health bar enemies while wielding the IKELOS hand cannon. Complete five total Heroic Strikes with the IKELOS hand cannon equipped. Complete three Escalation Protocol levels with the IKELOS weapon. Find 15 Sleeper Nodes around Mars while having the IKELOS weapon equipped. Complete the Will of the Thousands mission with the IKELOS hand cannon. We should note that although the steps just above for obtaining the Sleeper Simulant weapon while using the IKELOS hand cannon sound relatively simple, nearly all the later quest activities are endgame content for the Warmind expansion. The Heroic Strikes now require a Power Level of 350, while the Escalation Protocol recommends the supreme Power Level of 380. It’s not an easy quest line to complete by any means, as although the Sleeper Simulant itself is one of the most powerful items in the game, completing the Heroic Strikes and three levels of the Escalation Protocol are undoubtedly the hardest tasks in the quest. If you need to up your Power Level to undertake the endgame activities, we’d recommend undertaking Heroic Adventures and the weekly Nightfall Strike. We might be all done with this Destiny 2 guide on how to unlock the Sleeper Simulant Exotic weapon in the Warmind expansion, but continue ahead to our Warmind Exotics guide for a complete walkthrough of all the new elite items, or our Warmind Unsolvable Problem guide for how to obtain one of the rarest items in the expansion.